What did early church fathers think about abortion and infanticide? This is from Birds of the Air. Recently I came across a reading of the Didache. “The what?” you may ask. The Didache is a book written somewhere in the first or second century. For a long time it was up for consideration as Scripture. It was believed to be the Teaching of the Twelve Apostles. Eventually it was agreed that the book was an excellent book, but not inspired Scripture. So I was pleased to be able to download this admirable book containing good teachings from the early Church fathers. The book seemed to be largely a lot of quotes from Scripture. You’ll learn the basic rules of Christianity — “First, you shall love God who made you; second, love your neighbor as yourself.” You’ll learn that “grave sins” are forbidden, like adultery, murder, fornication, and so on. (They specifically include pederasty in the list.) There are instructions regarding teachers, prophets, Christian assembly, and so on. Lots of the normal, good stuff. But, since this was written sometime prior to 200 AD, I was somewhat surprised at this instruction: “You shall not murder a child by abortion” (Didache, Ch 2). I got curious about what babies look like when they are just a few weeks old, so I went looking for pictures of them. 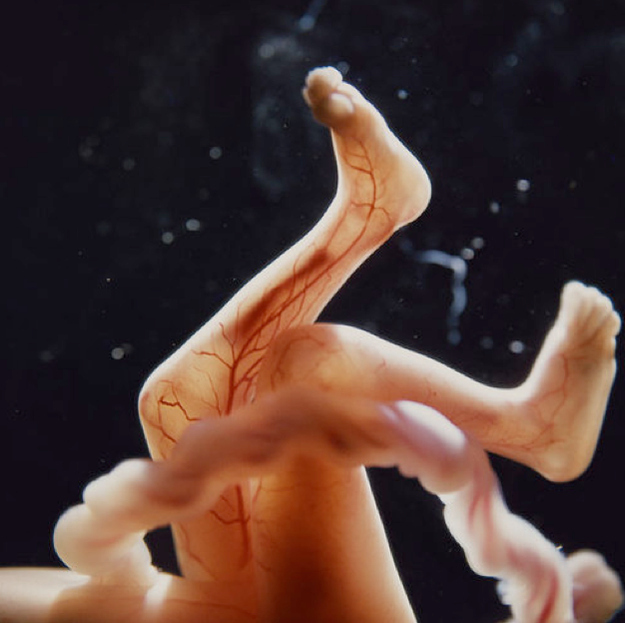 This post from Life News has ten excellent pictures of life inside the womb. This is a first trimester baby! 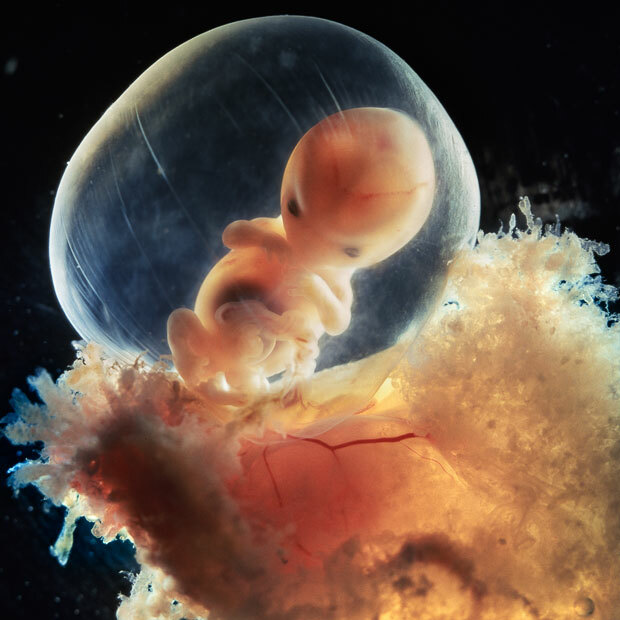 From this week until birth, the developing organism is called a fetus. The fetus is now the size of a small strawberry. The feet are 2mm long (one tenth of an inch). The neck is beginning to take shape. The body muscles are almost developed. Baby has begun movement. While still too small for you to feel, your little one is wriggling and shifting. The jaws are in place. The mouth cavity and the nose are joined. The ears and nose can now be seen clearly. Fingerprints are already evident in the skin. The unborn baby is now called a fetus. Though the fetus is constantly moving, you will not be able to actually feel fetal movement for several more weeks. All of the organs, muscles, and nerves are in place and beginning to function. As the hands and feet develop fingers and toes, they have lost their paddle like look. The touch pads on the fingers form and already have fingerprints. During this week of pregnancy the crown to rump length of the fetus is 0.9 inch to 1.2 inches (22 to 30mm), weight 0.07 ounce (2gm). They are now on the way to forming their testicles or ovaries, getting ready for the next generation. Until the ninth week of fetus development, the fetal reproductive apparatus is the same one for the both sexes. The head is still large and curves into chest. Each week your uterus grows larger with the baby growing inside it. You may begin to see your waistline growing thicker by this time. A pelvic exam will detect that your uterus has grown from it’s normal, size of your fist, to a little bigger than a grapefruit.